Q: What is the significance of this announcement? A: The Sustainable Manufacturing Innovation Alliance (SMIA), led by Rochester Institute of Technology, has been selected to lead the REMADE Institute (“Clean Energy Manufacturing Innovation Institute for Reducing Embodied-energy and Decreasing Emissions in Materials Manufacturing”). 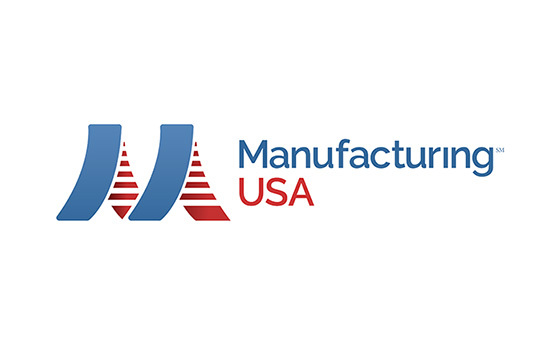 The REMADE Institute is one of 13 national research consortiums that comprise the “Manufacturing USA” federal initiative. SMIA is positioned to develop new technologies that when employed by REMADE Institute members during its first five years of operations can achieve new manufacturing efficiencies by reducing manufacturing material waste, increasing remanufacturing applications, and boosting material recycling. Q: Can you give an example of how the Institute will work? Q: What is RIT’s role in leading this initiative? A: Nabil Nasr, associate provost and director of RIT’s Golisano Institute for Sustainability, will serve as chairman and chief executive officer of SMIA and the REMADE initiative. Nasr will lead this consortium consisting of 26 universities, 44 companies, seven national labs, and 26 industry trade associations and foundations. The SMIA headquarters will be located in the Rochester region in a facility yet to be determined. RIT will also lead the Remanufacturing and Reuse “node” and two of the institute’s test beds. It is important to note that previous federal, state, corporate and individual philanthropic investments in RIT’s Golisano Institute for Sustainability, and the Center for Integrated Manufacturing Studies, were critical in creating a manufacturing enterprise and sustainability ecosystem that led to the winning proposal for the REMADE Institute. Q: What is the funding breakdown of the initiative? A: $70 million will come from the U.S. Department of Energy. This will be matched by consortium partners over five years, including academic and industry partners. Three states, including New York, Colorado and Utah, are engaged in the effort. Q: What will this do for job creation and economic development? A: The institute will have a direct jobs impact in Rochester, creating 50 technical and administrative positions directly at the institute’s headquarters. Additional positions at RIT will support the university’s role in leading the remanufacturing and reuse node and the two of the institute’s testbeds. This will also result in additional local positions. The institute will also focus on technology development and technology transfer and deployment activities targeting significant manufacturing job creation. Nationally, the anticipated indirect job creation and retention numbers are 250,000 over five years. Q: What current assets does RIT bring to the table? A: RIT has a long and well established reputation as a global leader in sustainable manufacturing, applied research, technology transfer and policy development. RIT is home to the Golisano Institute for Sustainability, established in 2007 with support from Rochester businessman B. Thomas Golisano, the National Institute of Standards and the state of New York. Here, several research centers will be leveraged in the federal initiative. Q: Who are the member partners with RIT? A: Member partners include 26 universities, 44 companies, seven National Labs, 26 industry trade association and foundations, and three states. University Members: Carnegie Mellon University, Clarkson University, Colorado School of Mines, Georgia Institute of Technology, Iowa State University, MIT, Northwestern University, Ohio State University, Oklahoma State University, RIT, Texas Tech University, University of California-Irvine, University of California-Santa Barbara, University of Illinois, University of Massachusetts-Lowell, Michigan Technological University, University of Miami, University of New Hampshire, University of Pittsburgh, University of Utah, University of Wisconsin-Madison, University of Wisconsin-Milwaukee, Virginia Polytechnic Institute, Washington State University, Worcester Polytechnic Institute, Yale University. National Laboratories: Ames National Laboratory, Argonne National Laboratory, Idaho National Lab, NREL, Oak Ridge National Laboratory, Pacific Northwest National Laboratory, and Sandia National Laboratory. Industry Members: Advanced Environmental Recycling Technologies, AMBAC, Andela Products, Antea, Arkema, Aurubis, Caterpillar, Celanese, Church & Dwight Co. (ARMEX), Cisco, CoreCentric Solutions, Corning, Cummins, CycleTex, Davies Office, Dell, Delphi, Florida Wood Recycling, GEEP, Golden Aluminum, Green Power Buses, John Deere, Kohler, Level Seven, Metal Exchange Corp., Michelin, New Hope Power, Nexus Fuels, Nike, Phinix, Recology, Resource Recycling Systems (RRS), Ryobi Die Casting, Sealed Air, Shaw, Sims Metal Management, Smelter Service, Southern Core Recycling (SCR), Staples, Steinert, Tessy Plastics, ThinkStep, Umicore, Xerox. Affiliate Members: American Chemistry Council (ACC), American Institute of Chemical Engineers (AICHE), Automotive Parts Remanufacturers Association (APRA), Carpet America Recovery Effort (CARE), City of Coconut Creek, Monroe Community College, City of Marco Island, SME, Agenda2020, Aluminum Association, American Composites Manufacturing Association (ACMA), American Forrest & Paper Association (AFPA), ASME, Green Electronics Council (GEC), Institute of Scrap Recycling Industries (ISRI), International Electronics Manufacturing Initiative (iNEMI), International Imaging Technology Council (ITC), International Zinc Association, MACNY, MERA, Minor Metals Trade Association (MMTA), National Center for Manufacturing Sciences (NCMS), NEWMOA, Remanufacturing Industries Council, Smart Manufacturing Leadership Coalition (SMLC), Society of Plastics Industry Association (SPI), and Ellen MacArthur Foundation. State Partners: New York, Colorado, Utah.